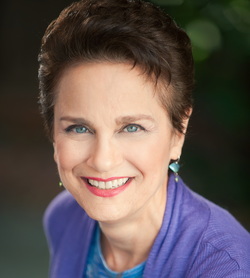 Ruth Huber has a rich musical background as a pianist, singer, and composer. She grew up in rural Maryland playing both piano and violin, earned a Bachelor of Music degree in piano performance from the University of Maryland, and her first Master’s degree in piano pedagogy from the University of Texas at Austin. After a hiatus from the classical music world as a singer/songwriter, she returned to school and completed a second Master’s in composition from the San Francisco Conservatory of Music, where she studied with David Conte and Elinor Armer. Her compositions have won awards from California American Choral Directors Association, The San Francisco Art Song Festival, the San Francisco Conservatory Choral Music Competition, the Austin Music Umbrella Songwriters’ Competition and the Kerrville Folk Festival. She has received commissions from choral groups around the country, and composed music for solo and duo piano, clarinet, and instrumental ensembles. She lives in San Jose, California, where she teaches piano and co-directs the Rainbow Women's Chorus.